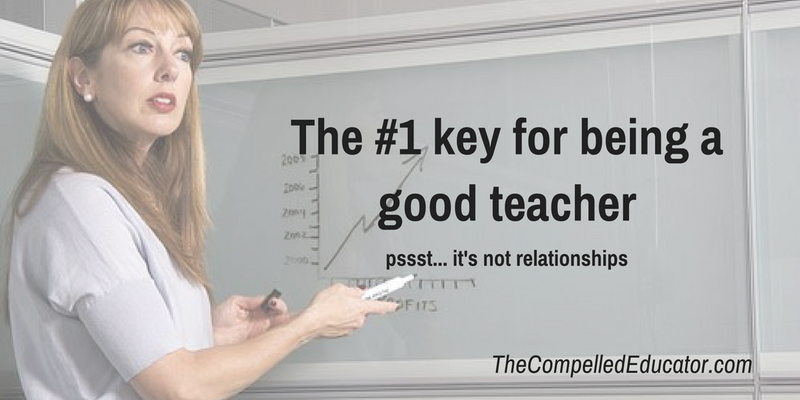 I've been blessed with the opportunity to write collaborative blog posts here on The Compelled Educator with some incredible people and thought leaders. One collaboration that I truly enjoyed was getting to work on a blog post with Texas A & M Women's Basketball Assistant Coach, Bob Starkey (@CoachBobStarkey). 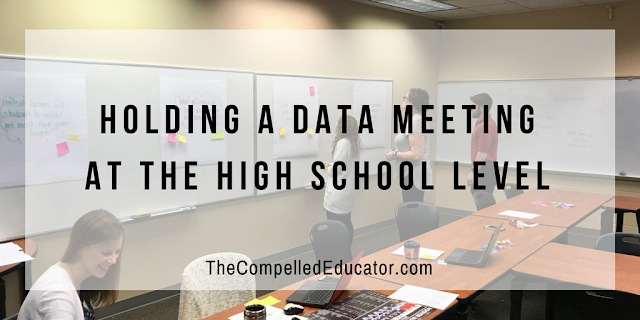 The blog post Coach Starkey and I wrote together, Why Data is Not the Villain, is one that I hope everyone will go back and read and re-read. Coach Starkey's team goes into great detail with their data (stats in basketball). They don't just keep stats like points scored, where the shots were taken, or what percentage of free throws were made... they keep stats to measure hustle - such as diving on the floor or taking charges. They create their own stats... for things that are important for the success of their team, such as the number of screens set to get a teammate open. If you don't understand the game of basketball, this may sound like Greek to you. But I think you get the point of it... those coaches subscribe to the philosophy of keeping data and using it to get better. Find the weak points and strengthen them. Find what's working and keep doing more of it. Coach Starkey makes a connection to teaching, which happens in the classroom and on the basketball court, too. "Of course, stats alone can’t take the place of teaching itself. But when properly utilized, I think they can help the teacher better pinpoint areas in which the student needs help. We chart turnovers and we are specific. So after a practice or a game, if we see Jill has 5 turnovers and 4 of them were bad passes into the low post (which would be on that stat sheet), we can then show her some video of her performing that particular pass — both successful and unsuccessfully — while outline teaching points...the next day in practice, we can have some drills to specifically work on that skill. If we didn’t chart that area, we may not realize that she needs help." The meetings I led recently were mid-year data meetings for our teachers of 9th and 10th graders. 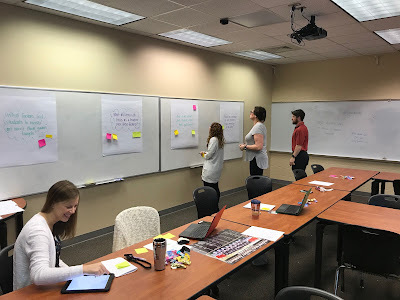 These data meetings are new for me, so I'm going to share what we did because a) I think it went really well and b) I would love to hear your feedback on making it better. We've worked hard to share ownership for the data of our students, as all subject areas contribute to their growth and success as readers. Our 9th and 10th grade students are assessed three times during the year on reading and Algebra or Geometry. Also, in an effort to be transparent about our data, I did a sort of "State of the School, 9th and 10th Grade version." At the mid-year data meeting, first, we CELEBRATED! Yes, we celebrated! 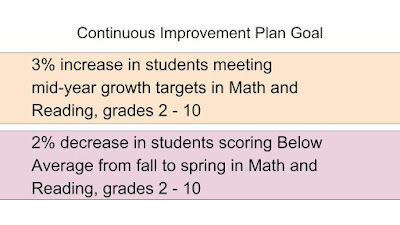 For our Continuous Improvement Plan goal this year, it's written based on achievement as well as growth on the Scantron Assessment. 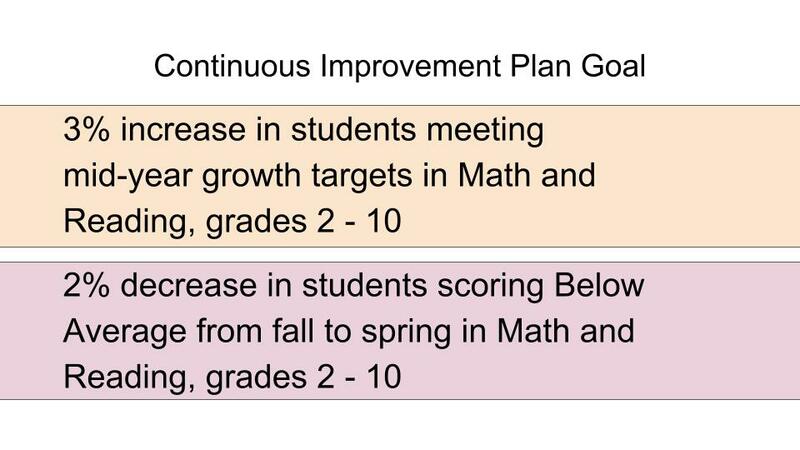 For our Performance goal, we want to show a 2% decrease in students scoring Below Average from fall to spring in math and reading. I showed the teachers where we are at this mid-year checkpoint. In all areas except for Algebra, we are moving the needle in the right direction at the mid-year point. I'm looking forward to seeing how much of a decrease we can show by the spring assessment. Prior to the meeting, each teacher was to print a copy of their "Class Standard Detail Report" and discuss it in their PLC meeting. The report shows the number of students who attained or did not attain specific grade-level standards. These are THEIR students in their classrooms as a grade-level. Through the online assessment system, teachers can log in and see the performance and growth of each individual student that is in their classrooms. It is truly something new for us as a high school - to have this kind of data about our students. In fact, each math and English teacher gets an "On-Track" report that shows the percentage of students in their classes who are "on track" to make one year of growth by spring. I know elementary teachers are used to having and using this kind of data, but it can truly be intimidating for some teachers as we start on our data journey. I asked teachers to think about and discuss the following questions prior to our mid-year meeting. -What factors led students to meet/not meet their gains targets? -What influence do I as a teacher have over these factors? 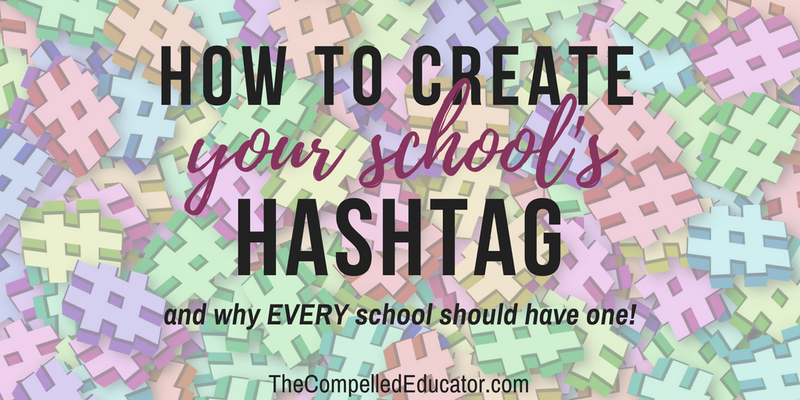 -How do we ensure that students meet their goals/targets? 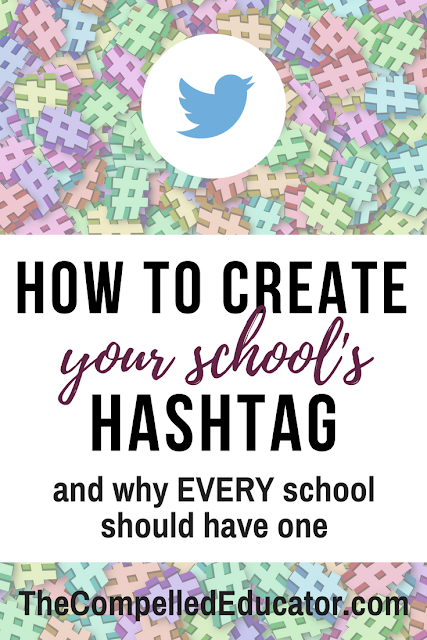 -How do we continue to help students take ownership of the data? After reviewing all of the data, I asked teachers to answer the questions above on sticky notes. After writing their answers, they posted their sticky notes on the corresponding posters at the back of the meeting room. After posting their sticky notes, I asked each teacher to get a pad of sticky notes and writing utensil and do a Gallery Walk. They were to read what was posted and to add another sticky note with an answer if anything they read prompted them to think of a different answer. By the end of the two days, we had 4 posters full of sticky notes and lots of good questions and suggestions to help us move forward. My next step is to consolidate all of the answers into a Google Doc and share it with the teachers. I also plan to conference with the Algebra teachers about our plans to improve student performance. 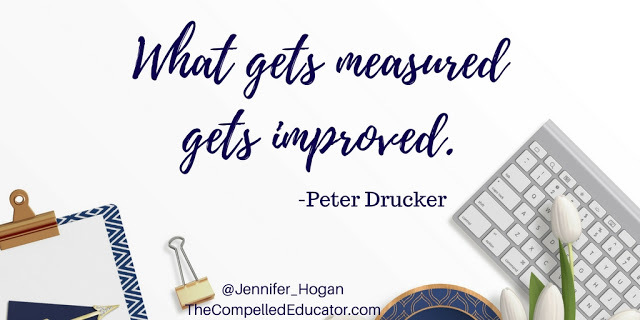 I'm so proud of our teachers who are embracing the use of data as feedback to improve what they are doing in the classroom. John Hattie says, "The biggest effects on student learning occur when teachers become learners of their own teaching, and students become their own teachers." It's time for all of us to become learners of our own teaching and have higher expectations for students than what they have for themselves. What are the data meetings at your school like? What suggestions would offer to improve the next meeting(s)? Disclosure: There are some affiliate links below and I may receive a small commission for purchases made through links in this post, but these are all products I highly recommend. 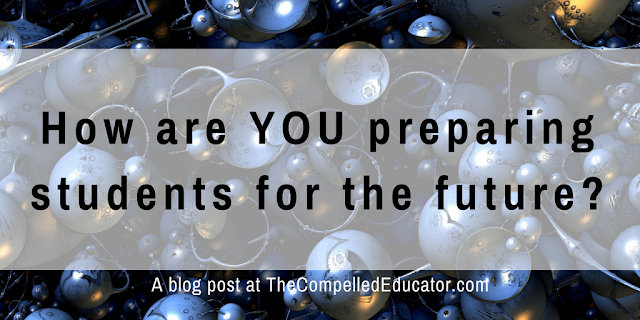 Being a part of the classroom experience + my own daughters who are college-aged + preparing for "testing season" at our school has me reflecting on the question, "Will our students be prepared for the future?" 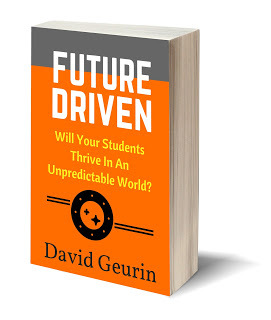 "Will your students thrive in an unpredictable world?" In Alabama, there has been a push to have every graduate college and career ready. The issue is this... we measure this by standardized test scores, career credentialing, and/or military enlistment. And I bet we all have examples of students who didn't make a benchmark on a standardized test who are thriving at "life," and other examples of students who scored well by don't have the skills they need to be successful in their future. "GPAs are worthless as a criteria for hiring, and test scores are worthless... We found that they don't predict anything. Up to 14% of Google employees don't even have a college degree. For every job, thought, the No. 1 thing we look for is general cognitive ability, and it's not I.Q. It's learning ability." 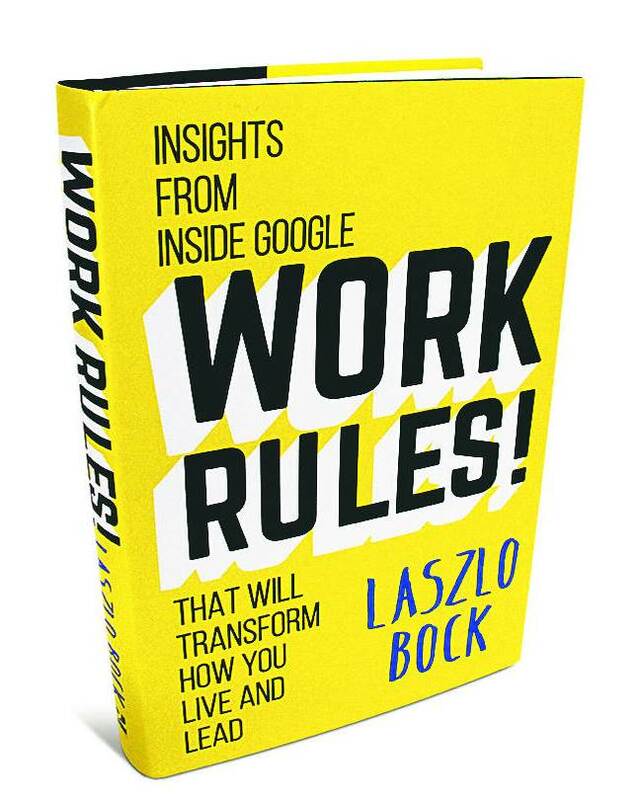 Now, I'm not saying that we need to prepare every student to work at Google, but what they're doing is working. I would like to see us look for ways to prepare students so that they have what Mr. Bock calls "high learning abilities." The video below is little controversial for some. As you watch it, try to imagine ALL types of students who enter school and exit as graduates. I don't want this post to be just a rant about using standardized test scores to measure the preparedness of our schools. 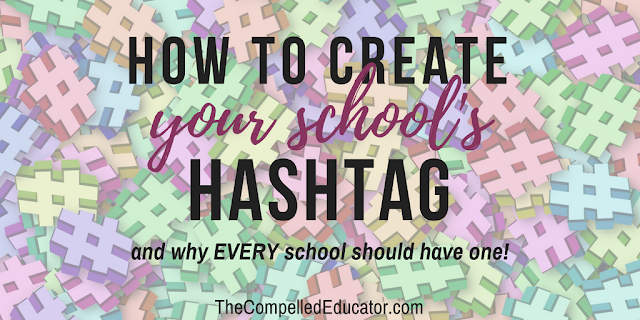 This post is also about challenging ourselves to reflect on what we're doing in order to prepare our students for THEIR futures. A future that is changing quickly that will require adaptable learners. A future that is globally connected that will require empathetic and engaged learners. A future that requires our students to be hopeful, connected, courageous, and ready. If we are to graduate students who are adaptable, schools must be adaptable as well. David talks about two different types of teachers in his book - "time-capsule teachers" and "time-machine teachers." Time-capsule teachers hang onto the past while time-machine teachers are future-driven thinkers and doers who are always considering a better way to do things. "When things are changing so quickly, it's tough to predict what's next. The key is to be looking forward and paying attention. Then, chart your course based on your best guess, and the best guesses of others. Consider all of the possibilities of what change might bring and position yourself as well as you can. One thing is for sure, you can't be static and do nothing and let change happen to you. You have to be part of driving change. Do something even if it's wrong." Personal testimonial: David's book reads like a Chicken Soup for the Soul. It's full of stories, short chapters, and ideas. It's also very easy to read. You'll feel like David is sitting next to you! I have the privilege of getting to give away a copy of David's book, Future Driven! How to enter: 1) Leave a comment below AND 2) share this post on twitter with the hashtag #FutureDriven. 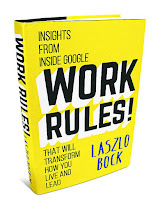 One book ($22 value) will be given away to winner selected via random.org. Contest opens on February 18, 2018 and closes on February 25, 2018. Entrants must be over eighteen years of age in the United States. Winner will be announced February 26, 2018 via twitter.